Having read the other series by Cole, Second Circle Tattoos, I was more than ready for the guys from the band Preload to have their own stories! First book on this spin-off series starts with Jordan, the bass player from Preload. Jordan suffered some serious abuse and neglect before he ended up in the group home where he met his fellow band mates. He has horrible abandonment issues that made the guys live all together even after they made it big. Dred, the lead singer of the group, going out on his own with his wife and kid really has Jordan’s feelings left in a whirlwind. Walking in the cold, winter, Canadian streets, Jordan passes a ballet studio and stops to watch a ballerina dancing. Aleksandra sees the interesting stranger with his tattoos and side shaved head watching her practice and she's drawn to the dark and dangerous looking man. Dancing for him becomes something she longs to do more and the two begin to seek each other out. Deciding to see where a relationship might go, the two battle their own demons and the demands of being on the road apart. Jordan has to travel for the band, Alex for the ballet, but they try to keep it together. Alex's drunken father (an injured former ballet star) turns more abusive as the story unfolds. Alex's burgeoning eating disorder, along with Jordan's insecurities, make them both interesting characters to read. They also have some pretty great chemistry and when Jordan lets loose, the pages fly by. The ending was very abrupt and felt extremely rushed, so that left me feeling a bit stilted and thrown off, but these messed up boys turned rock stars are an intriguing bunch. I'd like to get to know them all better so I'm definitely reading #2! This is a dark and emotional read with lots of triggers involving child abuse. Jordan was a victim of child abuse so severe that it still colors his everyday life. He has OCD tendencies that he can't seem to curb. He knows that he's still dealing with issues from his childhood, he just doesn't know how to come to terms with it. Jordan is also a member of the successful metal band, Preload. Being a member of the band also causes him problems with his incessant need to make sure his brothers, his bandmates, are safe and secure every night. Lexi is a dancer with her own set of issues. Her mother died when she was young and her father, a Russian immigrant, pinned all his hopes and dreams on her. She's a victim of verbal and mental abuse by her father, not only as a child, but also as an adult. The chemistry between Jordan and Lexi is real and heartfelt. Jordan is unsure how to interact with Lexi but for the first time, he's willing to try to take something he really wants. Lexi knows that Jordan's soul is bruised and she wants to help him into the light. The only problem is that Lexi tries to hide her issues from him, not wanting to cause him to worry for her. I enjoyed this book and can't wait to read more about the boys, the brothers, that made themselves a family. I believe that this book had a lot packed in for the length. I love how loyal Jordan is. He has had a very tough life, but he found his forever family and has stuck close. The secondary characters – his brothers and moms were a delight to read. I think that they helped to shape Jordan and without them, Jordan's character would have lacked a depth that was key to his story. When he sees Lexi, he's can't stop watching. He sees in her, a quality that just jumps at him. Then you have Lexi. She is trying to find her own path, all while living under the shadow of her father. Her father is both physically and verbally abusive towards her and she is not well equipped to handle it. She loves dancing, but wants to dance something other than the classics. However, she is being told, by more than just her father, that her body type is not ideal for the types of shows she wants to dance. This starts her on a dangerous path. When things come to a head with her father, she runs to Jordan, who does extremely well to hold himself in check. Jordan knows that Lexi is struggling, but doesn't really know how to help her. Both Jordan and Lexi have to struggle through their own insecurities and doubts, but eventually, they both find their way. I hope that the brothers get their own stories too, as they were fun to read about. Romance writing just doesn’t get any better than this. Rock star and ballerina. Two angst filled artists still struggling to reconcile with difficult pasts, Jordan and Lexi are a perfect match. I’ve loved Scarlett Cole’s writing since the first Second Circle Tattoos book and I am thrilled with this spinoff series. Jordan was introduced to readers in Dred’s book, The Purest Hook, along with the other members of the Toronto metal band. Of all the band members who met in foster care, Jordan always seemed the most damaged, but also the most elusive and private. His story is heartbreaking, but themes of healing and redemption keep his painful history from overwhelming his and Lexi’s story. In many ways, Jordan is a musical savant and his talent is inspiring. Lexi is the child of a Russian defector, the father who needs her to realise his own failed aspirations. Her training regime is brutal and with her father also working as her teacher, Lexi has very little control over her life. The scene when Lexi and Jordan first meet is absolutely magical. These two are perfect complements and they are bound together by their love of music. Theirs is an angst filled emotional journey and I loved it. Both Jordan and Lexi are controlled by people and events in their pasts and understanding themselves and each other takes trust and patience. 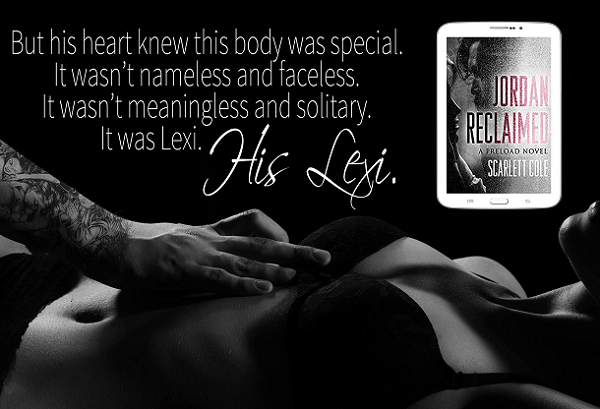 While Scarlett Cole’s characters are never simple, these two might be her most complex couple yet. This book might stand alone, but readers really need to go back to the very first Second Circle Tattoos story, or at least Dred’s story to fully understand the history of Preload and the relationships within the band. Over the past few months, I have become such a huge Scarlett Cole fangirl and I want to share her books with everyone I meet! Having loved Ms. Cole's Second Circle Tattoos series, I was delighted to get a chance to read this new series based on Dred's band members. This is an absolutely beautiful story with a very considered ending. I love that it deals with the many elements that have gone to make up these two people's lives, and how the parallels are drawn. There is some great foreshadowing of what might happen, which keeps the tension up too. Jordan is a really lovely character, backed up by his band of brothers by choice, rather than birth. His story, as it is slowly revealed, is heartbreaking, and when he calls Lexi on her behaviour, so powerful. Such an amazing talent to be able to write about such difficult issues with love and care. I love that we are given an insight into the world of a ballerina, the pressures, the contradiction of beauty and pain. Mix that with the incredible talent of Preload band member Jordan to write music, and how the connection between them works musically as well as emotionally. Thank you Ms. Cole for another amazing read. 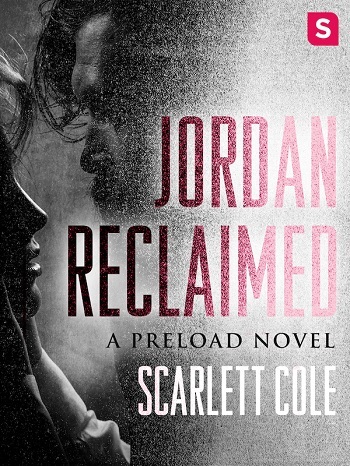 Reviewers on the Wicked Reads Review Team were provided a free copy of Jordan Reclaimed (Preload #1) by Scarlett Cole to read and review for this tour.